This sourdough focaccia is loaded with all the best flavors of summer. 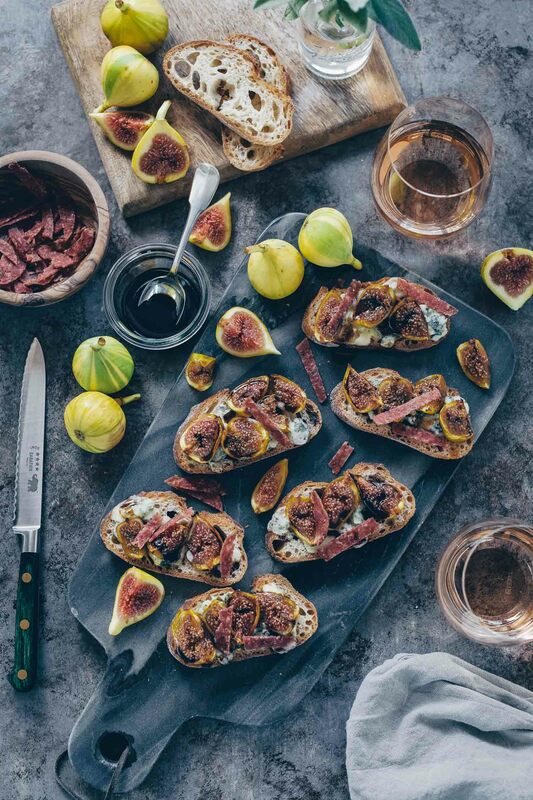 Salty, sweet and savory you get all the best of a charcuterie and cheese board in one bite. Feel free to use your favorite prepared focaccia from the store and save time. Sundays in Maui are not much different than the rest of the week. When you’re on island time, absent of obligations and deadlines, every day feels like a weekend. 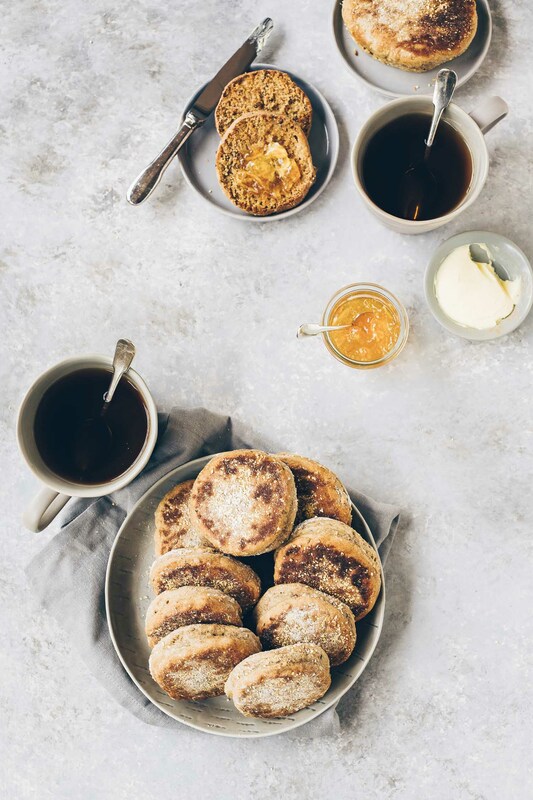 My husband and I greet each new day early with a cup of tea in hand (coffee for him) and we’re usually out the door for a workout and a swim by 7:30…8:30 if we’re feeling lazy. My Sunday routine at home is minus the ocean swim and my mind is usually on the week ahead but one of my weekend treats is to visit the local farmers market. Truth be told, access to seasonal, locally-grown produce is abundant any day of the week in the Bay Area so the biggest draw for me is the stall that serves the best banh mi around. My weekly fix is a classic with French ham, paté, extra pickled vegetables and jalapeños. I do walk around to see what everyone’s selling, sampling the fruit offered to me, so during summer I always end up returning home with my banh mi and a big bag of peaches. We’re here on Maui celebrating our wedding anniversary and on this Sunday morning I broke from habit and decided to pop into the small Sunday market open to resort guests here on Ka’anapali before my morning workout. Instead of peaches the tables overflowed with papaya and pineapples and instead of my favorite Vietnamese sandwich, the hot food station was serving Spam musubi, malasadas (Portuguese-style doughnuts) and chow mein. I was still full from my fruit and yogurt breakfast so I walked away empty-handed this time. 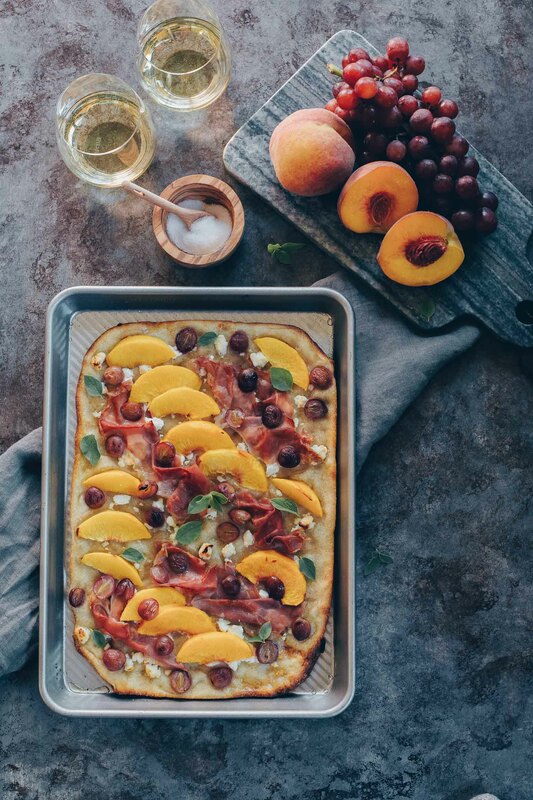 My mind is still on peaches anyway, and while the craving doesn’t have to go unsatisfied since the local grocery stores do carry them, I want my sweet, juicy peaches with grapes, crispy prosciutto and Feta cheese on top of a thin, crisp focaccia. This was a summer appetizer I prepared last month at home and I’m still obsessed with the sweet and salty combination. 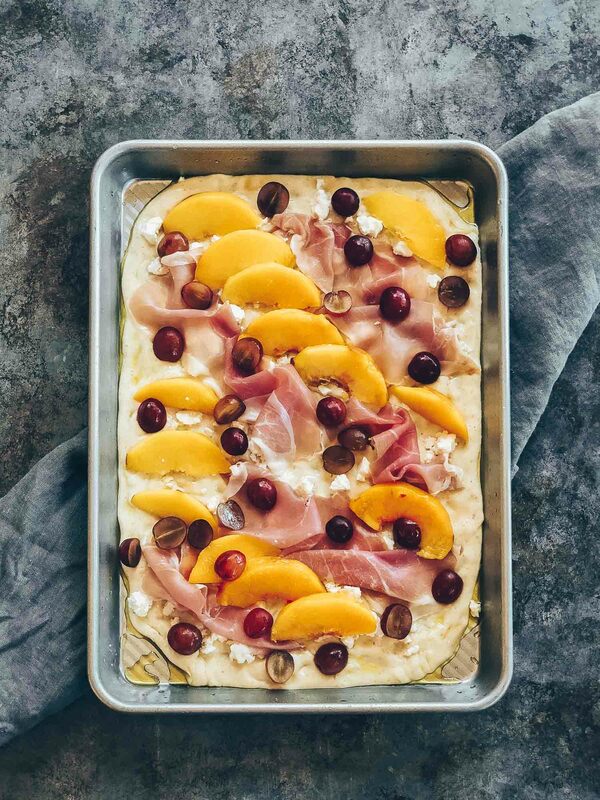 A few minutes in the oven warm the grapes and peaches, coaxing out a bit more of their sweetness, highlighted especially when paired with the Feta and prosciutto. 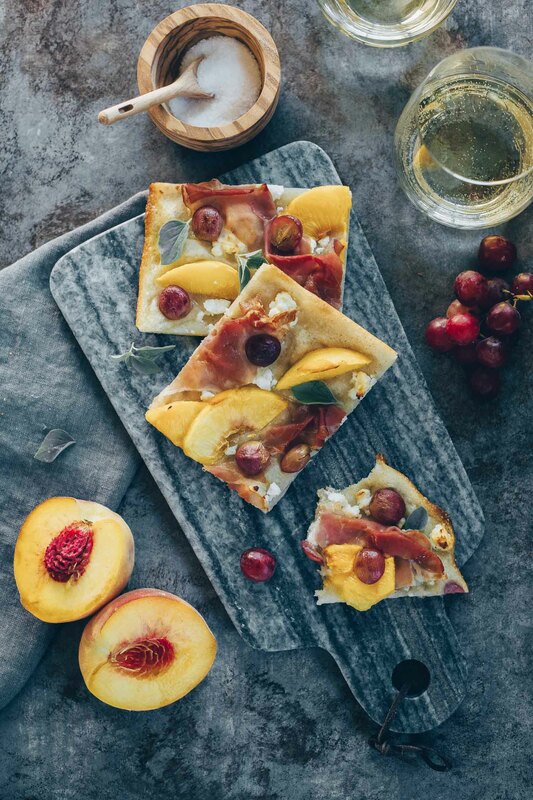 The thin focaccia is the perfect vessel–not a bit doughy–so each bite is balanced, the best of a charcuterie and cheese board in one bite. 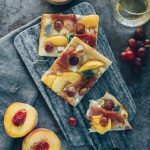 This focaccia recipe is very flexible and would work with your favorite summer fruit. You can also substitute goat cheese for the French feta that we prefer (my husband doesn’t do goat cheese) and your version would be just as tasty. I’m not silly enough to say that I wish I were home now so I could prepare this focaccia in my kitchen. We are celebrating our anniversary in paradise after all and not much can beat the warm water and tropical breeze…but I am glad that there will be plenty of summer–and peaches–left waiting for me in California when this holiday is over. Even though this is a shortcut version of my original focaccia recipe, you can save additional time by using store-bought pizza dough. Just follow the instructions on the package for allowing the dough to rise and top with the toppings below before baking. This sourdough focaccia recipe is ideal for setting some dough aside when baking sourdough bread. Combine the sourdough starter with the flour, water and salt in a medium to large bowl. Stir until the flour has been incorporated completely. Cover the bowl with a towel and let the mixture rest for 15 minutes. Pinch and knead the dough in the bowl four times over the course of two hours, covering the bowl and allowing to rest in between. Let the dough rise for another two hours after this step. To prepare the dough: Brush a little olive oil on the surface of a quarter sheet pan and transfer the dough to the oiled pan. Flatten and spread the dough, creating dimples on the surface with your fingers. The dough should have a light coating of oil on the surface when you're done. If not, brush a little more olive oil on top. If the dough springs back, let it rest for 10 minutes before flattening again. 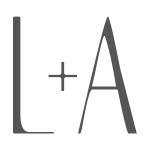 Preheat your oven to 500ºF. 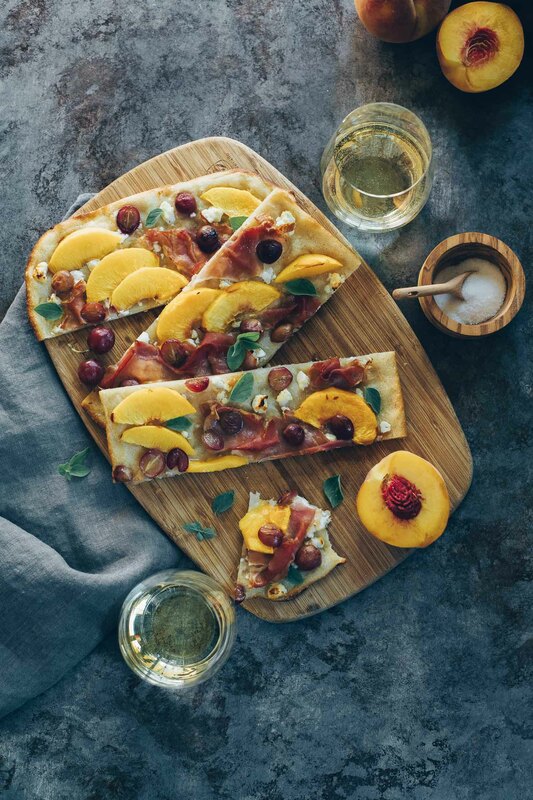 Start with pats of the Feta cheese followed by the strips of prosciutto then the grapes and peach slices. It's important not to overload the focaccia so a modest amount of each topping would be best. Bake for 10-12 minutes, checking for doneness around the eight-minute mark. 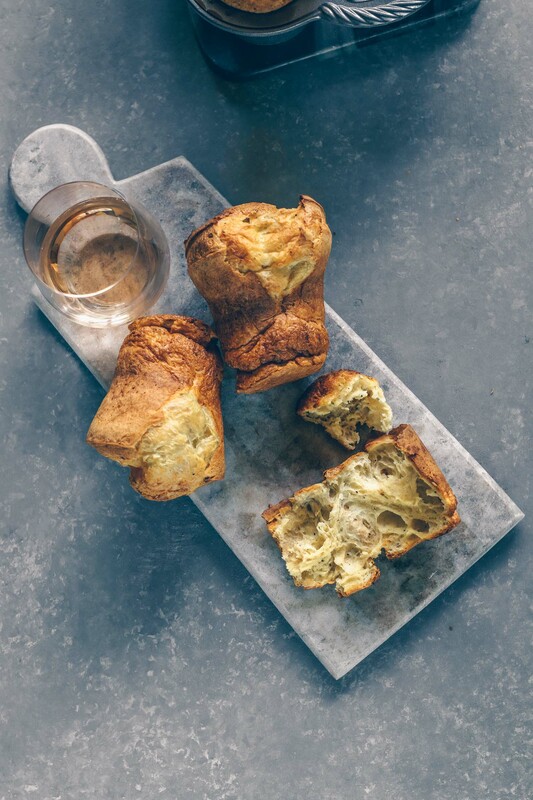 The dough edges should be crisp and golden. Cut and serve. 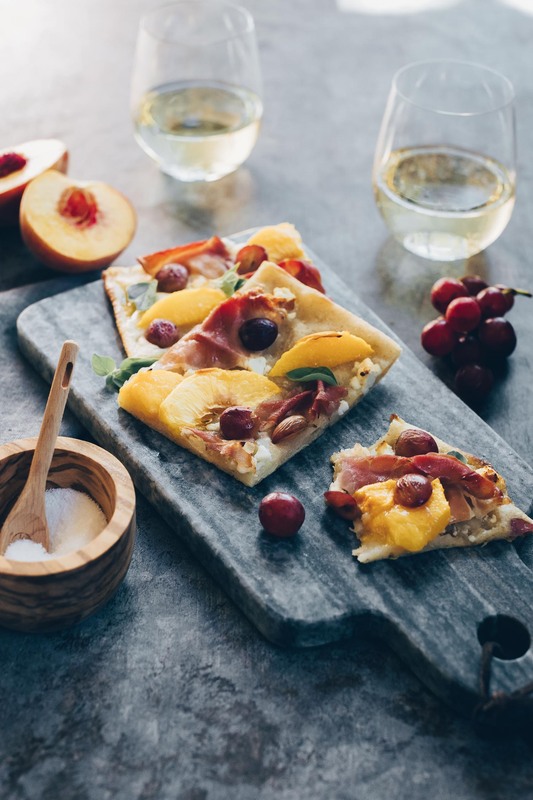 Hope you’re having a relaxing time in Maui1 🙂 I love this focaccia – the mix of sweet and savory flavors is simply irresistible!